What would you do if The A.V. Club sang out of tune? Wait, don’t stand up and walk out on us, because this Joe Cocker-esque warbling is in service of free stuff. Specifically: A copy of the complete-series DVD box set of The Wonder Years, due this fall from StarVista Entertainment/Time Life. Though it’s not one of the insane “signature edition” sets we told you about early in the week, this copy still includes all 115 episodes of The Wonder Years on 26 discs, featuring the 300-some original soundtrack cues whose painstaking legal clearance was the reason it took so long to get Wonder Years DVDs to market. 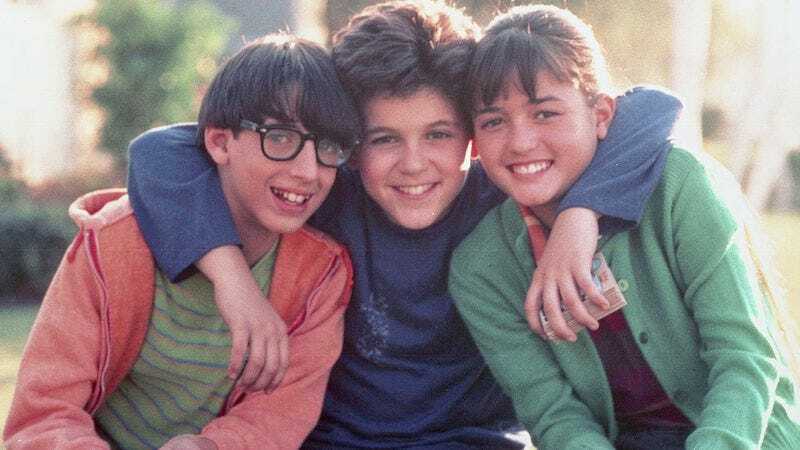 Because if you’re not watching Kevin Arnold and Winnie Cooper share their first kiss while Percy Sledge pours his soul into “When A Man Loves A Woman,” then you’re just not watching The Wonder Years. For a chance to win the set, send an email with the subject line “Wonder Years DVDs” to avcontests@theonion.com. Offer only valid to entrants with a U.S. mailing address, all entrees must be emailed prior to 2:30 p.m. on August 8. Approximate retail value of the prize is $300.